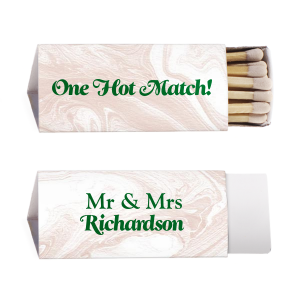 You've been the perfect match for decades, why not design personalized anniversary triangle matchboxes to tell the world? 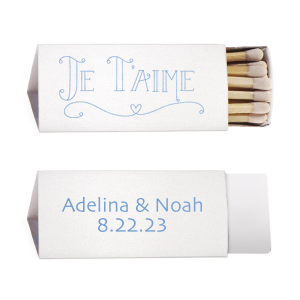 Browse our design idea galleries, or upload your own design if you prefer. 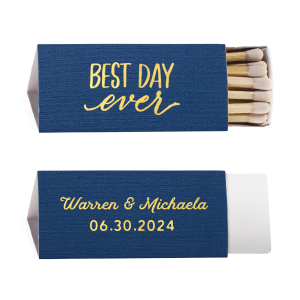 With a vast library of trendy and traditional graphics and endless color combinations, you are sure to find a look that reflects your long-term love! 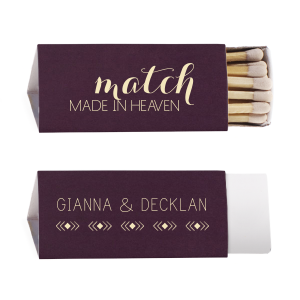 Add an element of personalization to your cigar bar or party favors with For Your Party’s custom designed anniversary triangle matchbox. 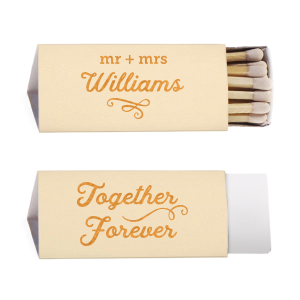 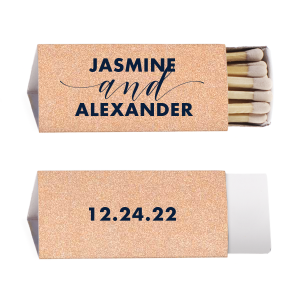 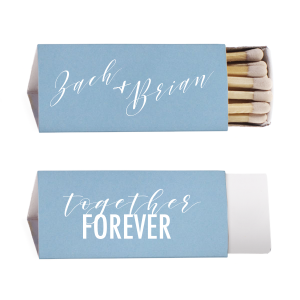 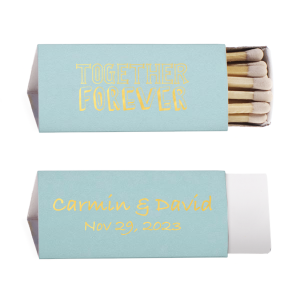 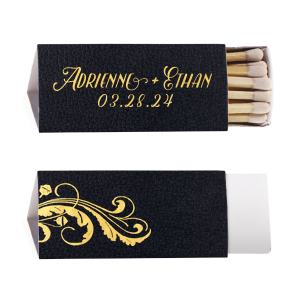 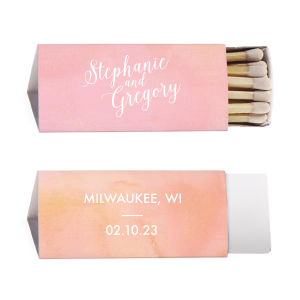 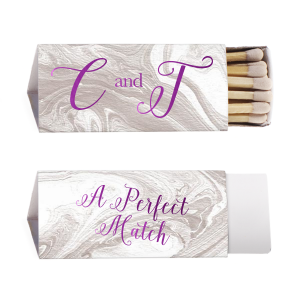 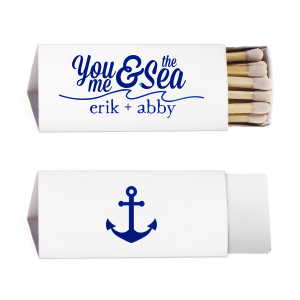 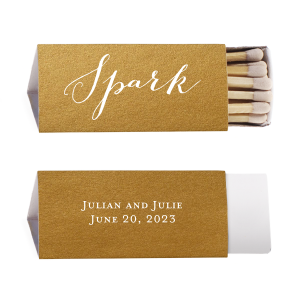 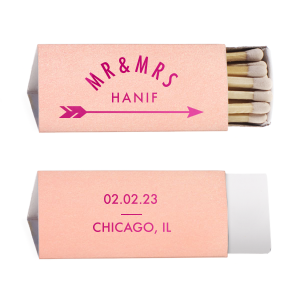 Browse our galleries of design ideas to find a look that for your personalized triangle matchboxes that coordinates with your anniversary party theme, or upload your own design. 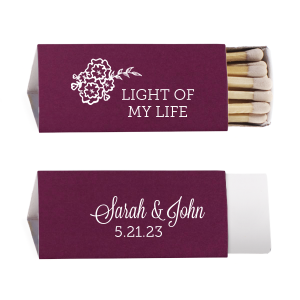 Choose your custom anniversary triangle matchbox color and foil stamping color and sheen, and you are on your way. 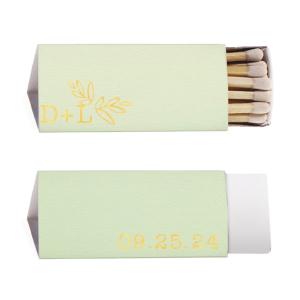 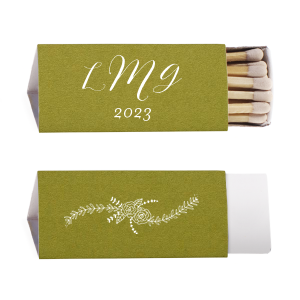 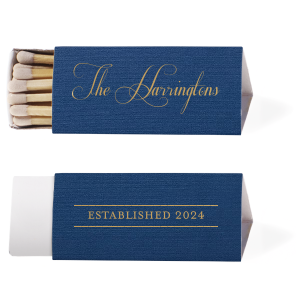 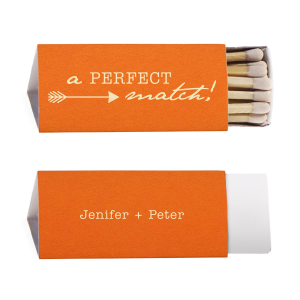 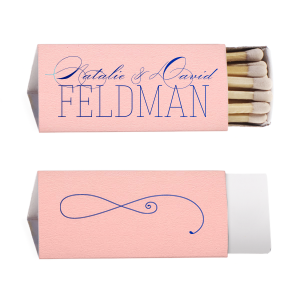 Your guests will appreciate the high-quality matches as they use your customized anniversary triangle matchbox party favors in the years to come. 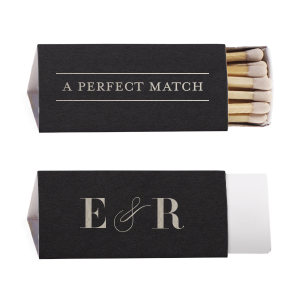 Or, pair your personalized anniversary triangle matchboxes with a scented candle or a tasty cigar for an especially memorable party favor.